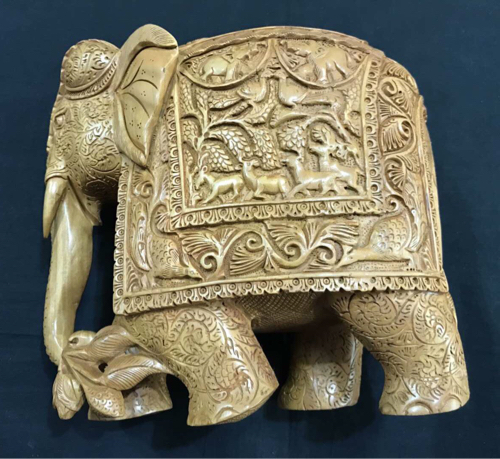 100% Export Oriented Unit of a wide range of products which include sandalwood elephant, sandalwood carving elephant, sandal wood undercut elephants, sandalwood crafted elephants, sandalwood baby elephants and sandalwood carved elephant statue. This Sandal Wood Undercut Elephants is one of the traditional items. This Sandal Wood Undercut Elephant is made by sandal wood & white wood. 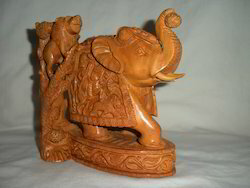 This wooden undercut elephant is made by master craftsmen in Rajasthan. All size is available with most competitive prices. 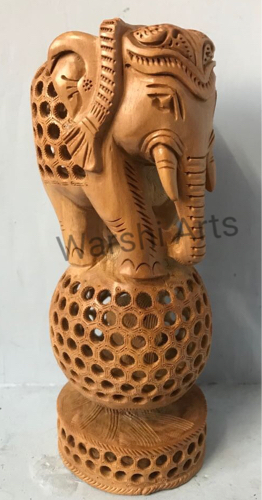 This wooden one like name call of Sandal wood undercut balls elephant, Sandal wood playing elephant, Sandal wood sculptures , Sandal wood handicrafts, Sandal wood art, Sandal wood Rajasthani Art and more of we provide to our client to most cheep and reasonable price. 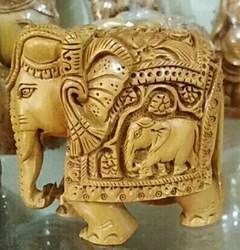 This Sandalwood Crafted Elephants is one of the traditional product. 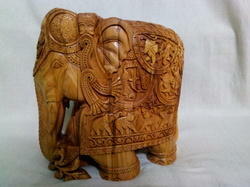 This elephant is made in sandalwood and white wood. Sandalwood found is south part of India. This sandal wood elephant in made by master craftsmen in Rajasthan. This is work according two types. One of the technique carved and lattice work and more work. This product is prepared by the hands of the finest workmanship. This product is made of pure sandal wood. All size to available here. We provide to our client these at competitive prices. 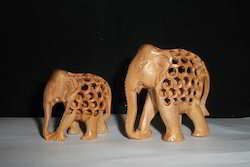 This Sandalwood Baby Elephants is one of the traditional product. This elephant is made in sandal wood and white wood. Sandalwood found is south part of India. 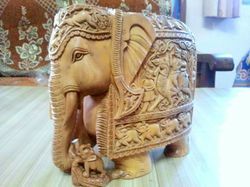 This sandal wood elephant with baby in made by master craftsmen in Rajasthan. This is work according two types. one of the technique carved and lattice work and more work . This product is prepared by the hands of the finest workmanship. This product is made of pure sandal wood. All size to available here.